No need to arrange transportation for your teen. I travel to your home or can meet them at school. 650-257-5000 or email me for more information. 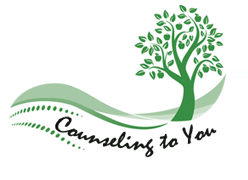 - Are you worried that your teen is anxious, depressed or stressed? - Is your teen struggling with adjustments to school? - Are you concerned about your teen's alcohol and/or drug use? - Does your teen engage in self-harm or sexual acting out behaviors? I have extensive training and experience working with adolescents, including those with emotional dysregulation, substance abuse issues, and mental health diagnoses. I bring a passion to working with teens on a variety of issues, including anxiety, depression, acting out behaviors, school performance, social skills, family and peer relationships, body image and self-esteem, suicidality and self-harming behaviors. I have clinical experience working with teens in outpatient, home-based and school-based settings. I helped launch and supervised two unique programs that provided counseling and emotional support to students at a high school and middle school in Palo Alto. Additionally, I have provided clinical supervision to interns working in school-based settings. In-home and community-based counseling is particularly effective in working with adolescents. I find that teens feel more comfortable and are open to support when they are in their "natural surroundings." Many of my teenage clients enjoy doing, "Walk and Talk Therapy" - something that is not usually possible in a traditional office setting. Extended sessions (90-minutes) give teenage clients the opportunity to create expressive arts projects, play music or share other personal interests with me. Finally, working with teens and families in the home environment can give me a better understanding the family dynamics. It also gives me the opportunity to teach strategies to address stressors as they arise.